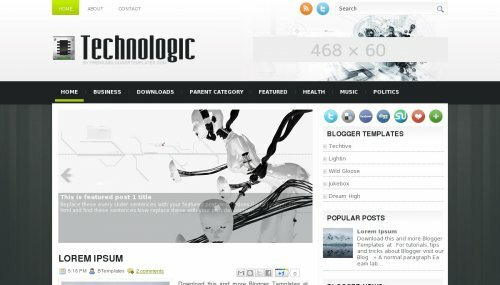 Technologic is a free blogger template adapted from WordPress with 2 columns, right sidebar, ads ready, slider, social bookmarking icons, posts thumbnails, drop down menu and abstract. I need it so fast for this layout. I saw this template and it was screaming my name! I’m going to start integrating this into my blog right away, thanks for this awesome setup! Also let me know if you would like to exchange links!